Image © [caption id="" align="alignleft" width="240" caption="What Does This Mean For The Future Quality Of Our Healthcare © jonnyfilmboy"] [/caption] It has today been announced that the Hinchingbrooke Health Care NHS Trust in Cambridgeshire is to be taken over by the Circle Healthcare Corporation, a private for-profit company listed on the stock market, as part of a £1bn 10 year contract. Circle Trust will become the first ever non-state provider to deliver a full range of hospital services since the introduction of the the NHS when the contract begins in February 2012, but what does this mean for the local communities and for us, the young people of society? Lets begin by looking at the hospital itself. The Hinchingbrooke hospital in Huntingdon, Cambridgeshire has been, in the eyes of over government, poorly managed and run over recent years and as a direct result it has found itself completely debt-ridden. As a result of this, and Andrew Lansley's new healthcare proposals, it is believed that the best thing to do is to therefore allow a private profit-seeking company to take over the management of the entire hospital, but who really seeks to profit the most from this - is it the local communities as we have been led to believe, who will 'benefit from a better run hospital service' or rather (and more likely it seems) is it the privately owned healthcare companies and the members of our government that look set to benefit the most? Whilst the takeover of the Hinchingbrooke hospital is not being viewed as a full privatisation of the hospital, as the building itself will remain a piece of public property, we should have no illusions that this is clearly the next step in the road to the full privatisation of our beloved healthcare system. By entrusting private companies with our healthcare system we not only face the likelihood of the eventual commodification of the most important sector to society - healthcare (closely followed by education - both in terms of importance and the recent commodification) but also risk losing the current level of quality that our healthcare boasts. Whilst on paper the outsourcing of the Hinchingbrooke hospital may turn it into a 'better run' and 'more successful' hospital the reality of the situation differs greatly. Whilst Circle Healthcare may indeed be able to improve on the monetary losses of the hospital, at what cost will this come at to the people of Huntingdon and Cambridgeshire? The most expensive outgoings for hospitals today remains the soaring costs of high quality medical equipment, the cost of medical research and the treatment of illnesses such as cancer and diseases which require the extensive use of expensive equipment and long-term treatments. These are essential services that should not be put into the hands of profit-seeking companies, which as we all know are driven by the ever increasing desire to make larger and larger profits. Independently run hospitals will undoubtedly result in at least one of two negative outcomes for our society as a whole - either the complete privatisation of our healthcare system and as a result the end to free healthcare for UK citizens, putting lower-income families' health at serious risk, or, the long-term decline in the quality and number of treatments offered by our health service. Whilst there are sure to be those who disagree with the likelihood of such aforementioned outcomes, such as those who claim that this is merely a case of outsourcing the management of hospitals so that they can be better run. If that is the case then surely the management of the hospital could have been restructured and improved without going private? Is there no one within the NHS who could better manage Hinchingbrooke? Surely Circle Healthcare's management skills cannot be paramount to those of everyone within the NHS? Christina McAnea, the Head of Health at Unison, reiterated this point to the BBC this morning "We just don't accept there is no expertise within an organisation the size of the NHS, and to turn to the private sector which has a very patchy record in delivering these kind of services is an accident waiting to happen". Rather than being a move to increase the quality of healthcare and reducing the costs of the NHS on our economy, this seems to be little more than another step towards the complete privatisation of the UK's healthcare system, no doubt in an attempt to benefit the small few at the the top of society, to ensure that the Conservative party's donors remain more than happy, and not to mention have something to do with the strong links between Circle Healthcare and half of the Conservative Cabinet. Once again this has been another government action that looks set to cause the most harm to the young members of our society and those on lower incomes as well as severely damaging the longterm future of healthcare within the UK. The privatisation of our hospitals is taking place in front of our eyes. It has today been announced that the Hinchingbrooke Health Care NHS Trust in Cambridgeshire is to be taken over by the Circle Healthcare Corporation, a private for-profit company listed on the stock market, as part of a £1bn 10 year contract. Circle Trust will become the first ever non-state provider to deliver a full range of hospital services since the introduction of the the NHS when the contract begins in February 2012, but what does this mean for the local communities and for us, the young people of society? Lets begin by looking at the hospital itself. The Hinchingbrooke hospital in Huntingdon, Cambridgeshire has been, in the eyes of over government, poorly managed and run over recent years and as a direct result it has found itself completely debt-ridden. As a result of this, and Andrew Lansley’s new healthcare proposals, it is believed that the best thing to do is to therefore allow a private profit-seeking company to take over the management of the entire hospital, but who really seeks to profit the most from this – is it the local communities as we have been led to believe, who will ‘benefit from a better run hospital service’ or rather (and more likely it seems) is it the privately owned healthcare companies and the members of our government that look set to benefit the most? Whilst the takeover of the Hinchingbrooke hospital is not being viewed as a full privatisation of the hospital, as the building itself will remain a piece of public property, we should have no illusions that this is clearly the next step in the road to the full privatisation of our beloved healthcare system. 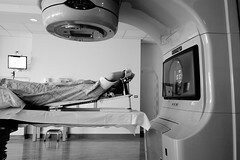 By entrusting private companies with our healthcare system we not only face the likelihood of the eventual commodification of the most important sector to society – healthcare (closely followed by education – both in terms of importance and the recent commodification) but also risk losing the current level of quality that our healthcare boasts. Whilst on paper the outsourcing of the Hinchingbrooke hospital may turn it into a ‘better run’ and ‘more successful’ hospital the reality of the situation differs greatly. Whilst Circle Healthcare may indeed be able to improve on the monetary losses of the hospital, at what cost will this come at to the people of Huntingdon and Cambridgeshire? The most expensive outgoings for hospitals today remains the soaring costs of high quality medical equipment, the cost of medical research and the treatment of illnesses such as cancer and diseases which require the extensive use of expensive equipment and long-term treatments. These are essential services that should not be put into the hands of profit-seeking companies, which as we all know are driven by the ever increasing desire to make larger and larger profits. Independently run hospitals will undoubtedly result in at least one of two negative outcomes for our society as a whole – either the complete privatisation of our healthcare system and as a result the end to free healthcare for UK citizens, putting lower-income families’ health at serious risk, or, the long-term decline in the quality and number of treatments offered by our health service. Whilst there are sure to be those who disagree with the likelihood of such aforementioned outcomes, such as those who claim that this is merely a case of outsourcing the management of hospitals so that they can be better run. If that is the case then surely the management of the hospital could have been restructured and improved without going private? Is there no one within the NHS who could better manage Hinchingbrooke? Surely Circle Healthcare’s management skills cannot be paramount to those of everyone within the NHS? Christina McAnea, the Head of Health at Unison, reiterated this point to the BBC this morning “We just don’t accept there is no expertise within an organisation the size of the NHS, and to turn to the private sector which has a very patchy record in delivering these kind of services is an accident waiting to happen”. Rather than being a move to increase the quality of healthcare and reducing the costs of the NHS on our economy, this seems to be little more than another step towards the complete privatisation of the UK’s healthcare system, no doubt in an attempt to benefit the small few at the the top of society, to ensure that the Conservative party’s donors remain more than happy, and not to mention have something to do with the strong links between Circle Healthcare and half of the Conservative Cabinet. Once again this has been another government action that looks set to cause the most harm to the young members of our society and those on lower incomes as well as severely damaging the longterm future of healthcare within the UK. The privatisation of our hospitals is taking place in front of our eyes.